The Protochips Atmosphere 210 turns any TEM into an environmental TEM, to enhance the in-house capabilities of your lab. You can mix gases, control flow independently and deliver gas at low pressures. With the new Atmosphere 210 you can mix virtually any composition of up to three gases. Precise quantities of each gas can be added, giving you complete control of your experiment. Gases are combined with an established volumetric mixing technique – the same method used in industrial gas manufacturing. This is extremely reliable and versatile, ensuring a perfectly homogenous blend of any combination of gases. Gas is mixed using an industry-standard volumetric mixing technique. The partial pressure of each gas is measured as it’s added, so the total composition is determined by Dalton’s Law of Additive Pressures and the Ideal Gas Law. Gas can be delivered at pressures from 1.0 Torr – 760.0 Torr. The flow rate can also be adjusted from 0.005 mL/min – 1.000 mL/min. Another new feature is the ability to mix gaseous water, ethanol, and other vapours. This enables you to simulate catalysis environments closer to real-world conditions than ever before. It takes just 5 minutes for the mixture to reach homogeneity, and you can switch between mixtures in 5 minutes. You can check the composition at any time, and monitor the concentraiton of each constituent gas. 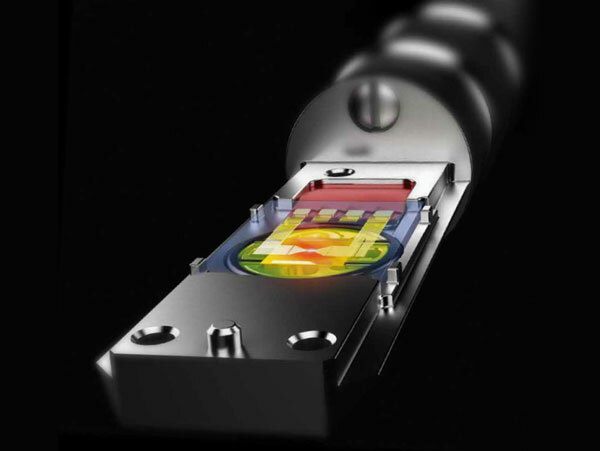 Protochips’ Clarity software features the same workflow that existing users will be familiar with, but has been updated to accommodate new manifold and holder hardware. Now you can adjust the gas composition, flow rate and pressure at the click of a button from your PC. This is easier and more convenient, as well as giving you precise, accurate control of the gases in your experiment. An optional software add-on called Clarity Echo is available for synchronising experiment conditions and in-situ data with the images and videos. This gives you a complete picture of what’s going on in your experiment and your sample’s reaction to environmental conditions. By synchronising data automatically, post-processing time can be reduced by 10x. Optional accessories are available for connecting a Residual Gas Analyser (RGA) to the gas outlet. This enables you to analyse in-situ chemical processes and measure reaction by-products throughout the experiment – useful in catalysis research. With these observations, you can correlate sample changes with reaction conditions and gain a more complete, quantitative understanding of the dynamics of reactions. To reduce thermal drift, the holder construction has been improved. Thermal drift is now reduced by five times. New, chemically inert silica-based gas lines also enhance the accuracy and repeatability or your results.